What Paradigm 3 can do is … register plant and equipment and send reminders based on a schedule for staff to maintain, calibrate or test as appropriate. The record can also notify key staff when new plant or equipment is added to the system. Attach manuals, instructions, photo’s, etc. to plant or equipment. 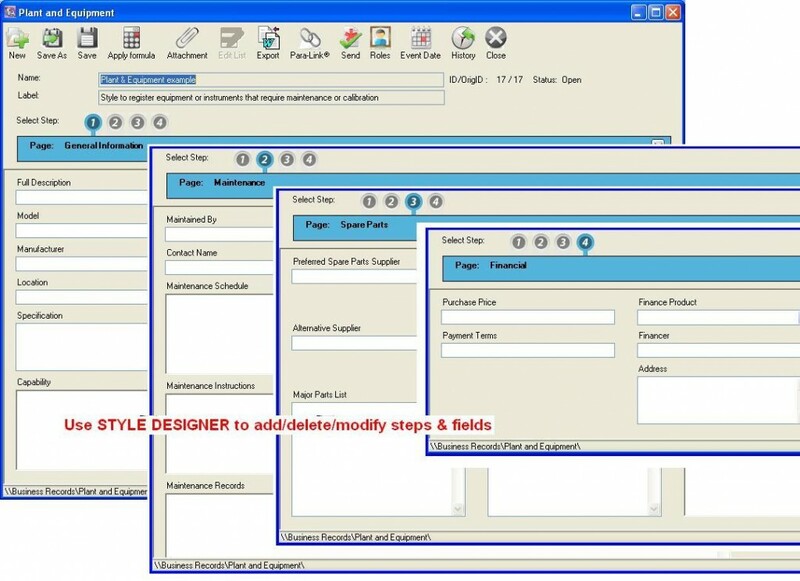 The record is designed as a style with pages and fields to be completed using the Records Module. Evidence of inspection, calibration or testing are either the completed reminders or results added to the record. Paradigm 3 is supplied with a Plant and Equipment style ready to go, or you can design your own. To register and manage plant and equipment, you can purchase the Records Module.